When traveling I want to be prepared for anything and skincare is no exception. On my recent holiday to the hot and humid Caribbean, I had to carefully pick products that were small enough to fit into the little plastic hand luggage bag for liquids, keep me hydrated during the 9 hour journey then protect me from the sun when I eventually landed. I also needed a product which would cleanse and effortlessly remove make-up in one to keep the luggage weight down. Firstly, to deal with the skin dehydration I packed a mini Boots No7 Beautiful Skin Night Cream for Normal/Dry skin which I applied several times during the flight. Every application felt like I was splashing cool water on my face – refreshing and moisturising! For my eyes I used Boots No7 Beautiful Skin Overnight Revitalising Eye Balm, again very hydrating and I was so glad this was the eye product I packed. 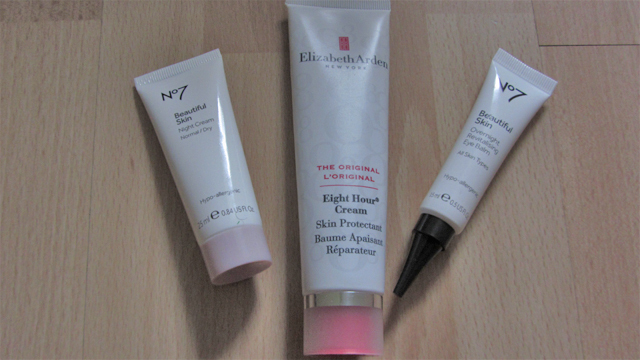 Finally, for my lips, only the original Elizabeth Arden Eight Hour Cream would do. It calls itself a skin protectant and that’s exactly what it does. For sun protection once I landed I had Ultrasun SPF30 for the face as well as Boots Soltan Protect and Moisturise for Face in SPF30. I don’t know why I packed both! 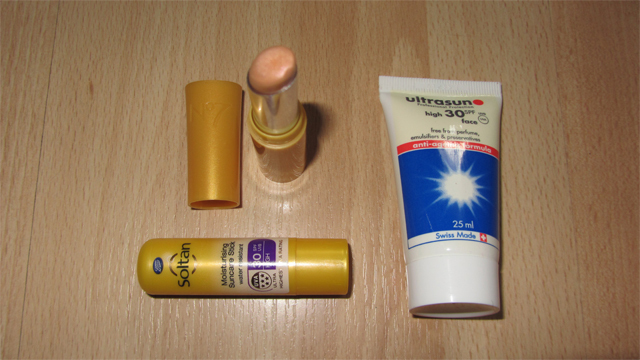 I like Soltan as it protects from UVA and UVB rays. I also need my sun cream to moisturise my dry skin. I chose SPF30 as I already have a little built in sun protection but it still important to protect against burning. To protect my lips I used Soltan Moisturising Suncare Stick in SPF30 and for my eyes I used No7 Shimmering Lip & Eye Screen in SPF30. I believe the Lip & Eye screen was new for this year which was great as I have been searching everywhere for a reasonably priced eye protectant with an appropriate SPF. Usually eye cream will come with and SPF of 15, if at all and this simply is not good enough for such a delicate area! 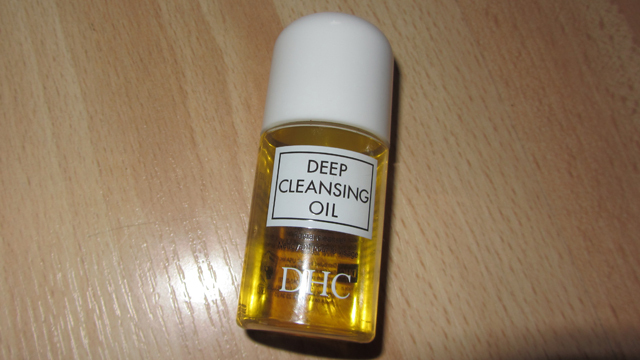 Finally, to cleanse and remove make-up, my product of choice was a mini DHC Deep Cleansing Oil which I got though a couple of beauty boxes. No need to pack cotton wool and take up precious suitcase space. So, there you have my affordable skin travel kit! What’s in yours?